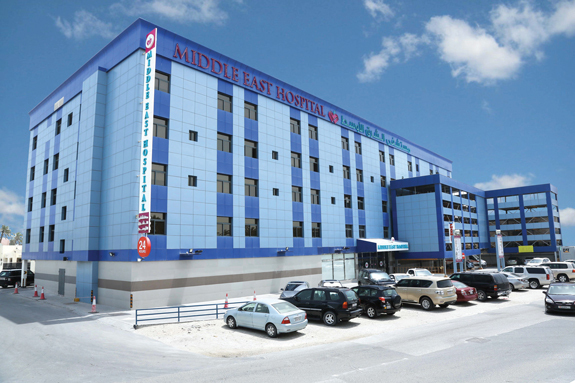 Middle East Hospital is the second healthcare venture of this group. The hospital building is owned by Al Namal Group. Building is strategically located near Salmaniya Medical Complex (1000 bedded Govt: Hospital) and Bahrain Keraleeya Samajam (Main Culture Center for the Indians in Bahrain). The construction of the building is almost over and expected to start operation in April 2016. 5 VIP Suite rooms, 25 Single rooms, 16 Semi private beds, 7 ER beds and 11 ICU beds. Other facilities include advanced radiology department with 16 slice CT, modern OT complex with HEPA filter and laminar flow, fully equipped laboratory, Physiotherapy, Pharmacy, Kitchen, Dining area and Cafeteria. Dedicated Gynec & Pediatric ward with neonatal Intensive care unit. Multi storied building with 5 levels and 4 lifts. Total built-up area of approximate 80,000 sq Ft.
Building exterior: Aluminum cascading with glass windows. Medical grade flooring and walling. The first healthcare venture of Al Namal & VKL Group. 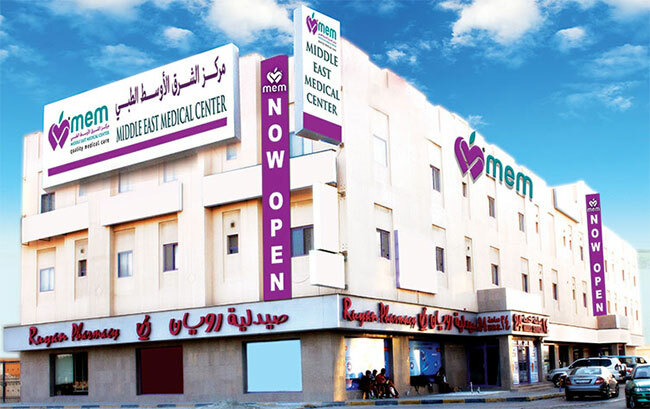 The Medical Center is strategically located at HIDD, near Lulu Hypermarket. The facility has attracted top doctors and nurses from around the world, with an abundant background of successful experience. The medical center is equipped with a full-fledged Laboratory, Ultrasound, X-ray, ECG, Physiotherapy unit, Pharmacy and Dental departments. In MEM, we have comprehensive and reliable preventive health packages that are available to suit the various requirements of all family Members. This Health Packages involves a complete physical examination and consultation. It includes a wide range of tests to assess your health and provide suitable directions. The Medical Center is strategically located at Al Hayat Medical Complex (Ruyen Pharmacy) Next to Manazil Shop, Salmabad. The facility has attracted top doctors and nurses from around the world, with an abundant background of successful experience. 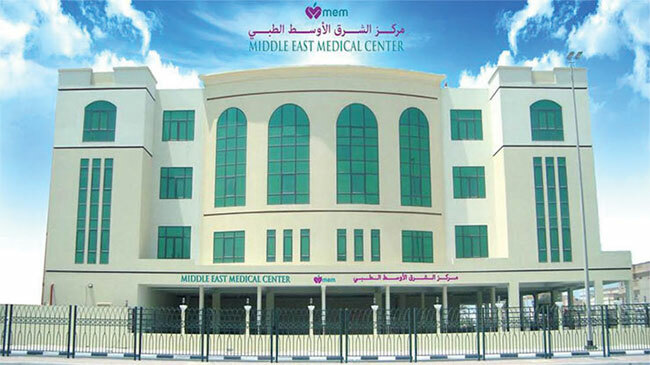 The medical center is equipped with a full-fledged Laboratory, Ultrasound, X-ray, ECG and Dental departments. In MEM Salmabad, we have comprehensive and reliable preventive health packages that are available to suit the various requirements of all family Members. This Health Packages involves a complete physical examination and consultation. It includes a wide range of tests to assess your health and provide suitable directions.